Combining Nutrition with Tradition, The Elder Center provides services for meals in Congregate style or Home Delivered meals. Mealtime is more enjoyable when you are with friends! The Senior Meal Program serves hot nutritious meals and gives seniors the opportunity to socialize and take part in activities such as bingo and exercise classes. Meals are served Monday through Friday between 12:00pm and 1:00pm. Individuals aged 60 or older, regardless of income, and a spouse of any age can participate. All new clients must register before receiving services and must complete a S.A.M.S. registration form. For individuals who are 60 years of age or older, meals are free of charge. For individuals under the age of 60, a $3.00 donation is suggested. 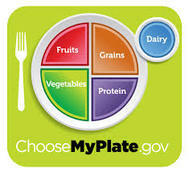 Meals are planned to assist individuals in maintaining a healthy diet and meet one-third of the daily RDA requirement. Menus include an entrée, potatoes, noodles or rice, milk, bread, vegetables and fruit. Coffee, iced tea and low-fat milk are also provided. Menus are published once a month within the Center’s newsletter, displayed on the bulletin board at the Center and delivered to individuals who receive their meals at home. The Center is occasionally closed due to staff training, holidays and religious ceremonies. Transportation to and from the Center is available and must be scheduled 24-hours in advance. Through the delivery of a hot, nutritious meal, the Home Delivered Meal Program promotes independent living for homebound adults Monday through Friday. Frozen weekend meals are also provided when an assessment indications a need for additional assistance.